There’s going to be a lot of people descending upon Atlanta, GA the weekend of February 3 for Super Bowl LIII. And as it has in recent years, T-Mobile is beefing up its network in the Super Bowl host city in preparation of the big game. 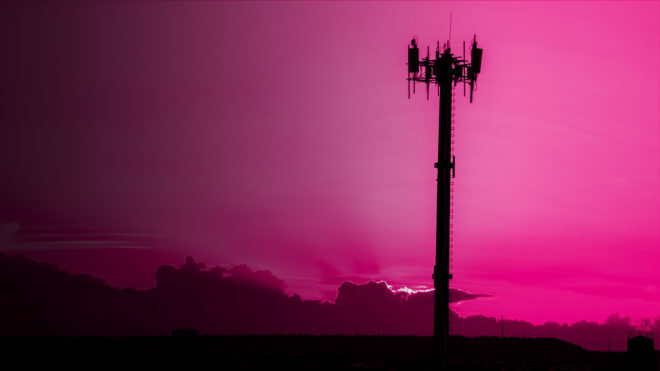 T-Mobile today confirmed that it’s made permanent enhancements to its network coverage and capacity in Atlanta, boosting 4G LTE capacity up to 8x at major locations throughout the city. The places that’ll benefit from these improvements include Mercedes-Benz Stadium, Hartsfield-Jackson Atlanta International Airport, key hotels in the city, along transit routes, and at dozens of Super Bowl event venues like Cobb Galleria and Centenial Olympic Park. Network enhancements were also made in the area around SunTrust Park, where T-Mo doubled its LTE capacity, as well as Midtown, Downtown, and the stadium and tailgate areas. T-Mobile touts that it rolled out more than 300 small cells at key venues throughout Atlanta to boost indoor coverage and speed. These small cells mostly utilize License Assisted Access (LAA). There were 20 new Distributed Antenna Systems (DAS) deployed, too, including the highest capacity DAS on T-Mo’s network, which is at Mercedes-Benz Stadium and offers 50 percent more capacity than the next largest stadium. Finally, T-Mobile’s first outdoor C-RAN system has been added to the tailgating and events areas. This C-RAN system can improve network performance in high traffic scenarios and help to extend smartphone battery life. Not only will there be a lot of people in Atlanta for the weekend of the Super Bowl, but they’re going to be doing a lot of tweeting, posting photos and videos, surfing the web, streaming, and more. These network enhancements will help T-Mobile customers to do all that, even with all of the people in town for the big game. And since these are permanent enhancements, T-Mo customers in the Atlanta area will continue to benefit from them once the Super Bowl is over. Data speeds next to NRG Stadium here in Houston are amazing, I got 230mbps, too bad cell towers aren’t setup like that everywhere, imagine getting 80-200+ Mbps everywhere, and not just at one cell tower near a sports venue. I was just about to post about how nice of a job they did in Houston. Dynamite speeds in NRG and around downtown. It’s such a shame every cell tower doesn’t have output like that!!! Tmo CAN do those speeds on all cell towers they CHOOSE not too ! ALL networks do this. It’s extremely costly to do this over their entire networks. All of the networks have been doing both in recent years. I’m suprised that COWs weren’t mentioned, I’d be surprised if they weren’t deployed.